One of the BEST INVENTIONS EVER was the invention of the grandparent! I say this as a former-kid who had some great ones myself, and also as a mom who benefits from the fact that my kids have a spectacular array. We’ve got ALL KINDS of fun grandparents over here. I feel pretty lucky about that. 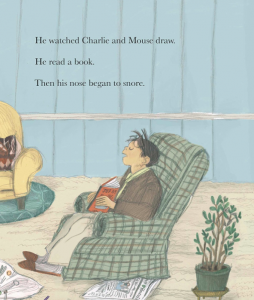 Of course, Charlie & Mouse have grandparents too! 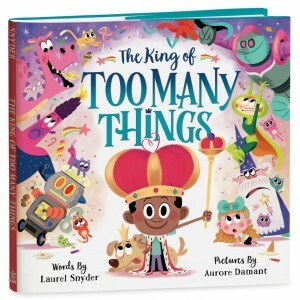 Some of them have yet to be written and illustrated. But in book 2, readers meet GRUMPY! 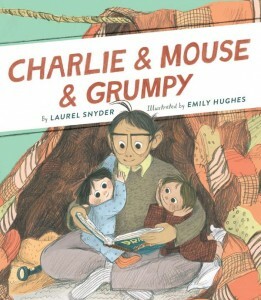 Since Charlie & Mouse are based on my own boys, Mose and Lew, Grumpy is based on my dad. In real life, we call him Boppy, but the truth is that he and Grumpy are pretty much identical, from their resting eyes to their snoring noses. When Grumpy (or Boppy) comes to visit, everyone has a good time, in an easygoing, pizza-eating, fort-building, walking-the-dog sort of way. Today, in honor of Grumpy (and Boppy), and to celebrate the publication of my new book, I’m giving away five signed copies! All you have to do to enter is to tell me a funny or sweet or goofy story (in the comments below) about YOUR grandpa. Every grandpa is different, but in my experience, they’re all special. 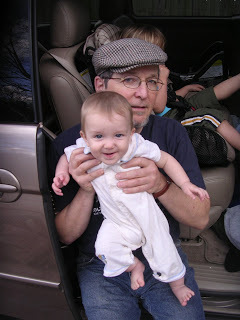 I’ll start the ball rolling, by telling you about my own Grandpa Bob, who was larger than life, and full of stories. He liked martinis. He wore a ring with a star sapphire in it, and a cartouche he’d gotten in Egypt, and I thought he could do magic. Once, when I was a kid, he flew to Baltimore for my birthday, all the way from California, with a gigantic pinata and a suitcase full of green avocados (not things you could easily find on the East Coast in those days). When he opened his suitcase, the avocados spilled out all over the floor! Grandpa Bob was an adventure, always. He glittered. Now YOU go! Tell me about your Grandpa Bob, or your Boppy, or your Grumpy, or your Gramps, or your Papa, or your Pappaw, and while we’re at it, tell me what you call him! I’m so proud to have joined a new venture called The Author Village– the brainchild of my friend and fellow author, Phil Bildner! This isn’t just a group of writers. 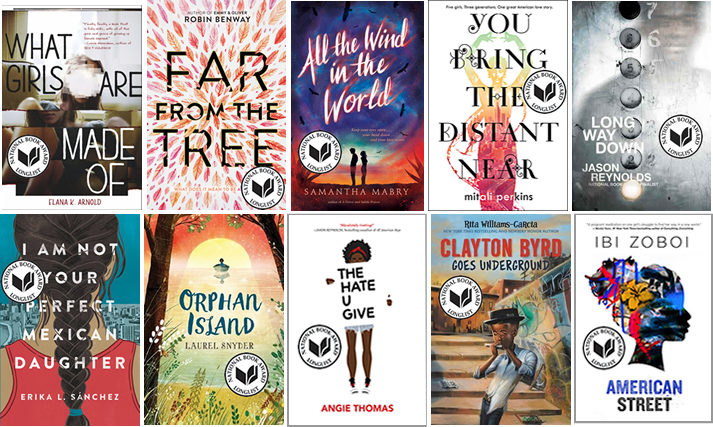 It’s a group of especially inspiring authors, who all share a vision and a desire to create and a more inclusive community of readers, who want to make the world a better place for the kids we serve. I seriously couldn’t be happier about this. It’s a big honor. 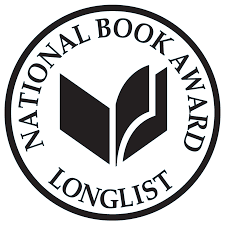 A thing that happened… is that Orphan Island is somehow nominated for a National Book Award. Four years ago, when I was starting over, trying to get back to dead-tree-writing, I thought this book was unlikely to be published. Certainly, I never ever ever could have imagined this. 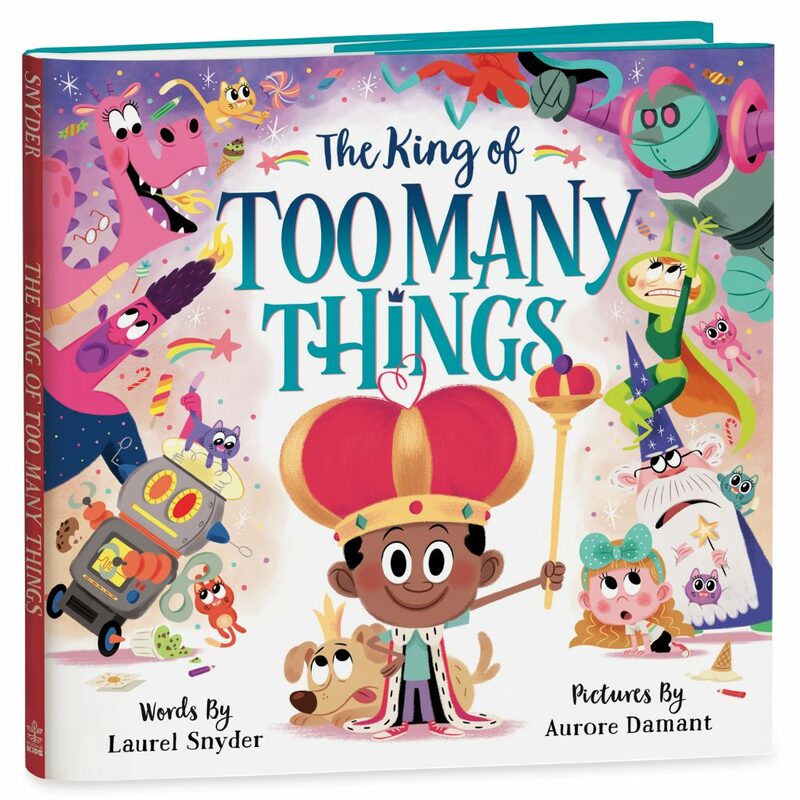 I want to thank everyone who has read and embraced this weird book of mine. Seriously. The little kid I was, the girl who dreamed of writing books someday… she never thought to dream of this. You are currently browsing the Laurel Snyder blog archives for September, 2017.